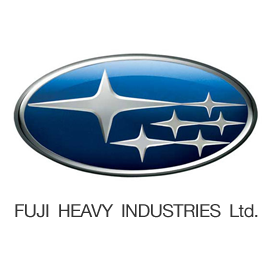 FHI(Fuji Heavy Industries) is a manufacturer of transportation-related products, placing Subaru automobile business as its core business. Our engineering excellence and epoch-making technologies have been highly praised by our customer: Horizontally-Opposed Boxer Engine, Symmetrical All-Wheel drive and advanced driving support system “EyeSight” in automotive business; unmanned aircraft system in aerospace business. We have established our action guideline as “Confidence and Innovation” that stands for our brand statement “Confidence in Motion”. Keeping with the guideline, we will further evolve our engineering excellence in response to the demands of the times through every process in regard to product planning, engineering, manufacturing, marketing and service, and continue to provide the customer-oriented value to our customers. that principle, the EyeSight (ver.2), Subaru’s driving support system that avoids collision or reduces collision damages, has been fitted on the Legacy from 2010. Moreover, Subaru developed the Lineatronic—an efficient and gearless Continuously Variable Transmission (CVT), adopting a steal chain-belt—in which both driving and environment performance are balanced, and released the Plug-in Stella electric vehicle (EV). These prove how positively Subaru has researched and developed technologies that considers environment. Subaru’s goal is that “by owing a vehicle, the owner’s life changes to a more affluent, more satisfying, and more active one.” Such vehicle always brings a smile to your face, and Subaru always aspires to share smiles with you. The aerospace Company, located in Utsunomiya City, Tochigi and in Handa City, Aichi, has been involved in the development and production of various aircrafts. In the area of commercial airplanes businesses, the Aerospace Company has been participating the international joint development of Boeing 767 and 777. With the achievements of two programs, the Aerospace Company takes part in the development and production of the center wing of Boeing 787 and integration of the center wing and main landing gearwheel well structure. Utilizing the technologies and experiences accumulated in many years, the Aerospace Company plays a key role in development and production of unmanned utility vehicles (UAVs) in Japan. The Aerospace Company has developed the Flying Forward Observation System (FFOS) and the unmanned aircraft research system for the Japan Ministry of Defense (MOD). The Aerospace Company also takes part in the research of unmanned supersonic aircrafts conducted by the Japan Aerospace Exploration Agency (JAXA). The Aerospace Company delivers many fixed-wing aircrafts to MOD as the prime contractor. The delivers of these aircrafts stated with the T-1 trainer, the Japan first postwar domestically produced jet trainer and cumulative deliveries continues with the deliveries of the T-5 (primary trainer of the Japan Maritime Self-Defense Force), the T-7 (primary trainer of the Japan Air Self-Defense Force), and the U-125/U-125A (search and rescue aircraft of Japan Air Self-Defense Force). In the field of helicopters business, the Aerospace Company currently manufactures UH-1J utility helicopters and the AH-64D (production license from Boeing) as the only attack helicopter manufacturer in Japan. In addition the Aerospace Company performs operational supports for helicopters operated by the Japan Coast Guard, local governments and police. With accumulated innovative and advanced technologies, the Aerospace Company challenges in new fields, and to enhance its presence in worldwide. At the Saitama Plant, in Kitamoto city, Saitama, the Industrial Products Company has developed and manufactured the general-purpose engines mounted on construction equipments and industrial machineries, as well the high performance engines for snowmobiles and ATVs (All-Terrain Vehicle). It also built engine-driven generators, floodlight units, and water pumps. Since the M6 engine was introduced in 1951, the Robin engine, painted yellow (Robin’s corporate color) has been widely used and appraised around the world as a tough power resource that can be used for many purposes in countless circumstances. The engine is currently available in over 2,000 different models, exposed to over 90 countries, and is unanimously regarded as a highly reliable product. In 2001, following stricter emission controls, the EX series engine was introduced. In Europe especially, the EX engine got so much popularity that a lot of general products-including generators and high-pressure washers-are now equipped with Robin’s EX engine. In addition, maintaining the traditional reliability, the company has aimed at producing engines whose convenience coexists with its environment performance. This idea is embodied in the EX40 general-purpose engine, which was introduced in 2008, and the EH72FI next generation general-purpose engine, which is equipped with electronic fuel injection system and was introduced in 2009. Recently, the business area of the company has been expanded more further. For example, for everyone to get to experience motorsports readily, the KX21 engine for sports karts was introduced in 2008. Thus, the Industrial Products Company offers various motive powers that make your daily life more convenient, richer, more fun, and strives to research and develop the products in harmony with the environment. Effective on July 15, 2003, the 50th anniversary of the company’s founding in 1953, FHI introduced the new 6-star corporate symbol and logo design for the Subaru automotive business, to project a new brand image in the future. Adopted in March 1958, Subaru refers to a group of stars also known by its original Japanese name, mutsura-boshi, or series of six stars. This group of stars-known in Western countries as the Pleiades-belongs to the Taurus constellation and is the basis of the Subaru trademark. Subaru automobiles were the first to bear a name derived from the Japanese language. Tokyo, March 4, 2014 – Fuji Heavy Industries Ltd. (FHI), the manufacturer of Subaru automobiles, unveiled the “SUBARU VIZIV 2 CONCEPT” today at the 2014 Geneva International Motor Show. “SUBARU VIZIV 2 CONCEPT” (VIZIV 2) is a future-generation crossover concept that represents the direction of Subaru’s brand value “Enjoyment and Peace of Mind” following the “SUBARU VIZIV CONCEPT” (VIZIV) revealed at the 2013 Geneva Motor Show and “SUBARU VIZIV EVOLUTION CONCEPT” exhibited at the 2013 Tokyo Motor Show. “VIZIV” is a coined word inspired by the phrase “Vision for Innovation” to express Subaru’s future vision of innovation and the future direction of the brand. By using the word continuously, Subaru expresses to pursue “Enjoyment and Peace of Mind” as an essential value offered for customers. Fuji Heavy Industries Ltd. (FHI), the manufacturer of Subaru automobiles, has developed its next generation “EyeSight” advanced driving assist system to enhance safety performance and further reduce burden on the driver. FHI has fully revamped the stereo camera system from current version of EyeSight for significantly improved recognition accuracy and added steering assist control features. Fuji Heavy Industries, known for its Subaru line of cars, approaches the production of autos without preconceptions. Its global market share may be only one percent, but many of its customers are so enthusiastic that they’re called “Subarists.” Recently, the brand’s popularity has been increasing, especially in the United States. Sales continued to rise even after the global financial crisis of 2008. The company is expecting record high sales and profits in the fiscal year ending March 31, 2013. Bear witness to the world premiere of the SUBARU WRX CONCEPT, hinting at the design of the next generation Subaru WRX. The aggressive design communicates its increased agility and driving excitement from its renowned, powerful turbo engine and AWD system. Subaru’s first hybrid vehicle, the SUBARU XV CROSSTREK HYBRID, embodies the “Enjoyment and Peace of Mind” driving experience.